Chief executives from the industry’s biggest companies are to be cross-examined by senators in Washington D.C. as part of a probe into US drug prices. 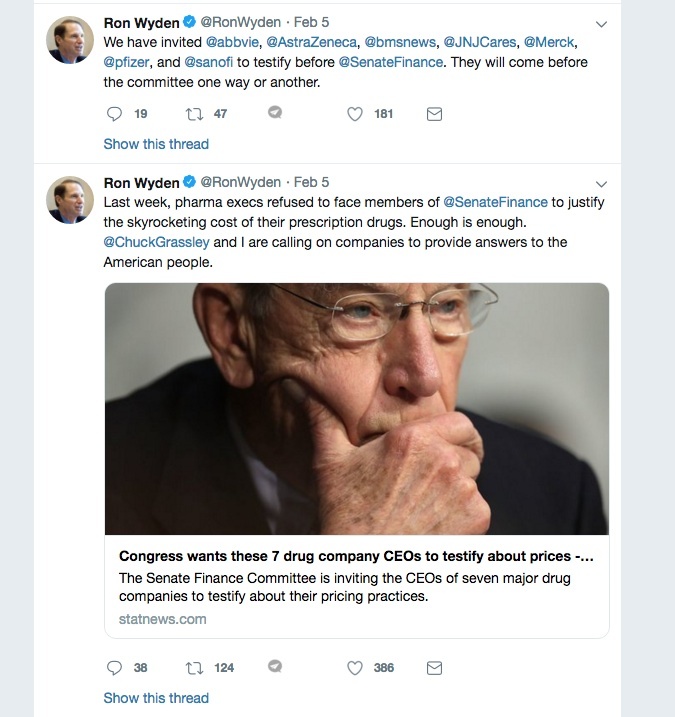 Chair of the Senate committee on finance, Republican Charles Grassley is a long-time critic of pharma pricing policies, and announced the investigation into what he called the sector’s ‘sky high’ prices on 23 January. The inquiry, entitled "Drug Pricing in America: A Prescription for Change, Part I" is one of several renewed initiatives in Washington aimed at tackling branded medicines prices. Democrats and Republicans broadly agree that something must be done, as opinion polls show the issue is consistently one of the public’s biggest concerns. Big pharma’s leaders say they shouldn’t shoulder all of the blame, and claim the US system needs comprehensive reform, with the roles of pharmacy benefit managers (PBMs) and others also scrutinised. Nevertheless, many in Congress want answers from pharma on how they can justify their US prices – the highest in the world – and the price increases of medicines already on the market which occur every year. CEOs from the major pharma companies declined to attend the first meeting of the inquiry, but have now agreed to give evidence, after the committee threatened to use its powers to compel them. “One way or another,” the executives will testify, tweeted Democrat committee member Ron Wyden. Now Pfizer’s Albert Bourla, Merck’s Ken Frazier, Sanofi’s Olivier Brandicourt and Bristol-Myers Squibb’s Giovanni Caforio have now all confirmed they will attend the finance committee hearings later this month. 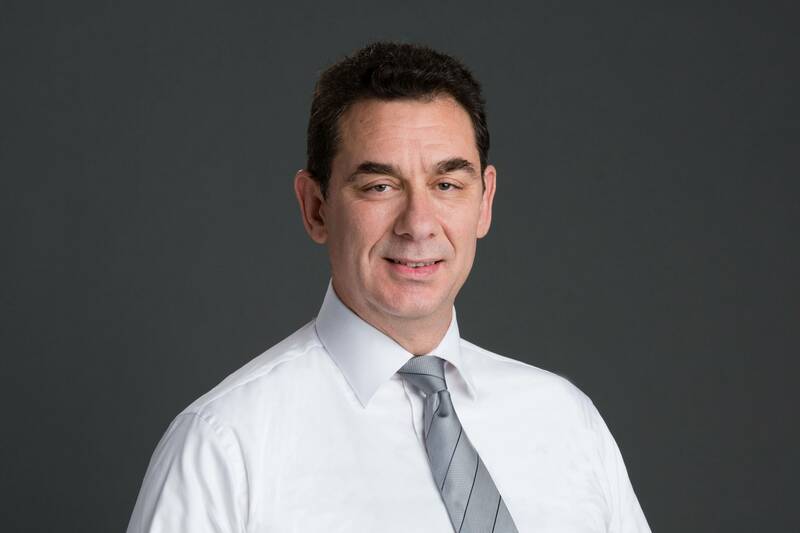 J&J’s Alex Gorsky won’t attend, but will be represented by Jennifer Taubert, head of the company’s pharma division, while AstraZeneca’s Pascal Soriot is expected to reply shortly, and AbbVie have yet to respond. The hearing is scheduled for 26 February and the legislators will follow up on the first meeting, which focused on potential changes such as increasing price competition in Medicare and the ‘Netflix’ style subscription model, as is being explored by the state of Louisiana in relation to hepatitis C drugs. The President is calling for greater more drug pricing transparency, and HHS Secretary Alex Azar recently announced plans to ban drug rebates between pharma and PBMs, though this move would hit the latter most. As a senior member of the senate finance committee, Grassley has spearheaded many probes into alleged misuse of public finances, and pharma CEOs will need to have some convincing responses to the committee’s questions on 26 February. Grassley has also just helped to reintroduce the CREATES act, proposed legislation aimed at preventing companies from blocking competition by refusing to supply generic competitors with samples of their drug. It is just one of several bills aimed at reduce or contain drug prices being put forward. It was considered in the previous Congress but failed to become law, thanks in part to intensive lobbying against it by industry organisation PhRMA.